I was recently approached by a company called Line Dock, who asked me if I’d like to take a look at a new laptop accessory called the Linedock 13″ which was recently funded on IndieGoGo. 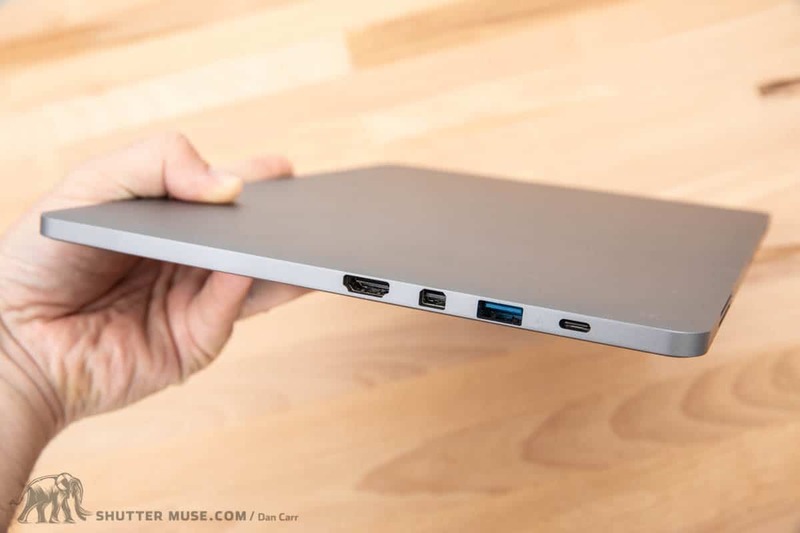 The Linedock is an external USB-C battery for your laptop that also incorporates an additional solid state drive, several additional ports and an SD card reader. Honestly, if this had just been a USB-C laptop battery then I probably wouldn’t have paid much attention to it, but from a photographers perspective the built-in solid state drive and the SD card reader had me intrigued. Many photographers use laptops when they travel and an additional drive, plus a card reader are must-have accessories. 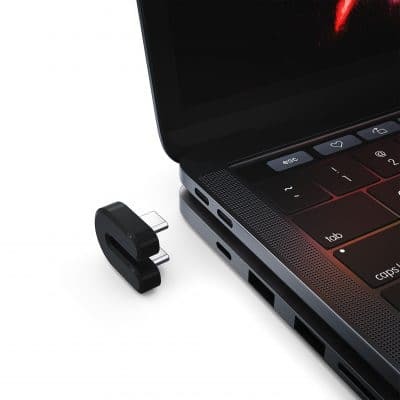 If these could successfully be combined into a product that also doubled the battery life of the laptop and gave you back some of the ports that Apple seems so intent on removing from modern MacBooks, that would be a useful product. As the name suggests, the Linedock 13″ is sized to match the current 2017/2018 13″ MacBook Pro and that means that the USB-C ports on the Linedock offer power delivery at 60W so that it charges your 13″ MacBook at the same speed at the Apple power adapter. 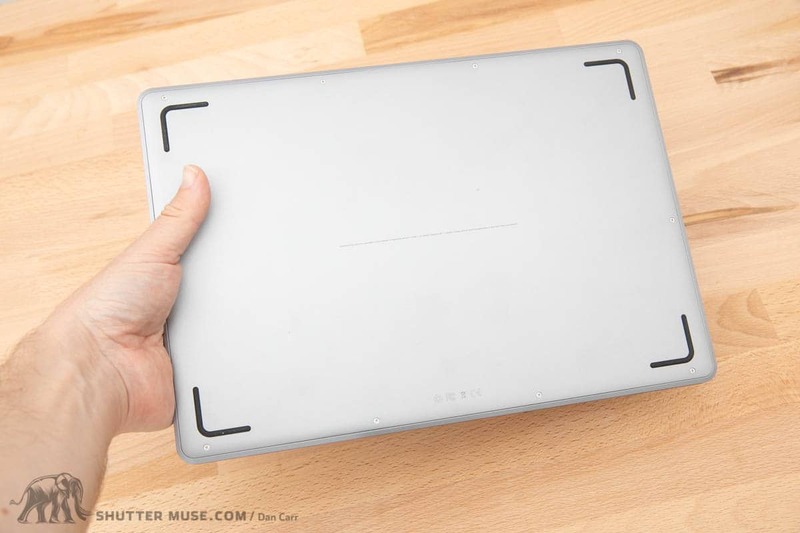 I’m told that a 15″ version with a larger battery, and presumably 100w power output, is also in development. 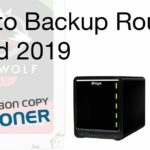 It’s probably better to wait for the 15″ version if that’s what you need, but if you’re desperate, you could still use this with a 15″ MacBook pro as long as you’re aware that the 15″ MacBook Pro has a maximum power output of 100W. The 60W output on the Linedock 13″ will still charge it, but it might not charge at quite the same rate as it would if you were using the original 100W apple adapter. 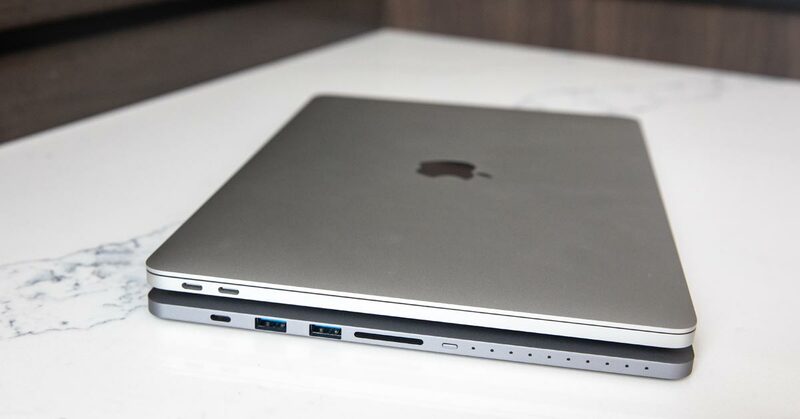 Additionally, if you are using the power pass-through function of the Linedock so that you can simply use the ports, card reader and SSD, the 15″ MacBook Pro might not charge at the same rate you are using power, so battery percentage may decline even when plugged in. Particularly if you are running processor intensive applications. 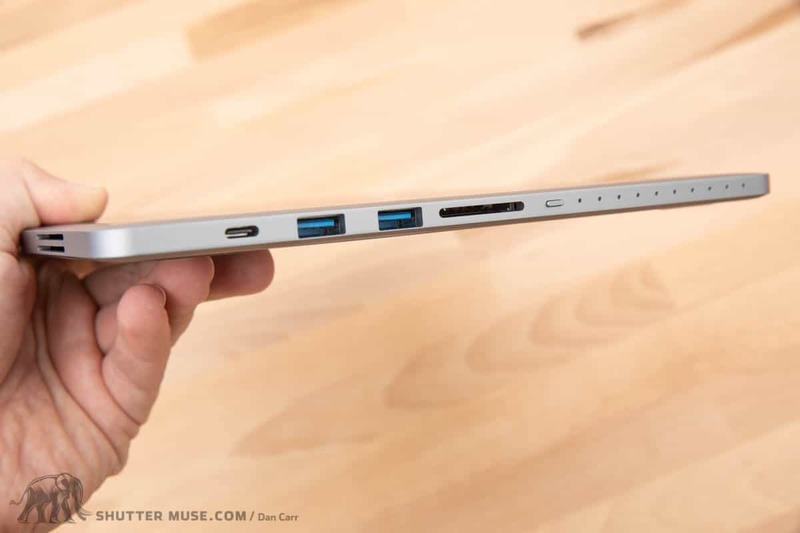 You can feed 100w of power into the Linedock through the rear USB-C port with your 100W Apple charger, but it will only pass 60W of that into the laptop through one of the side USB-C ports. 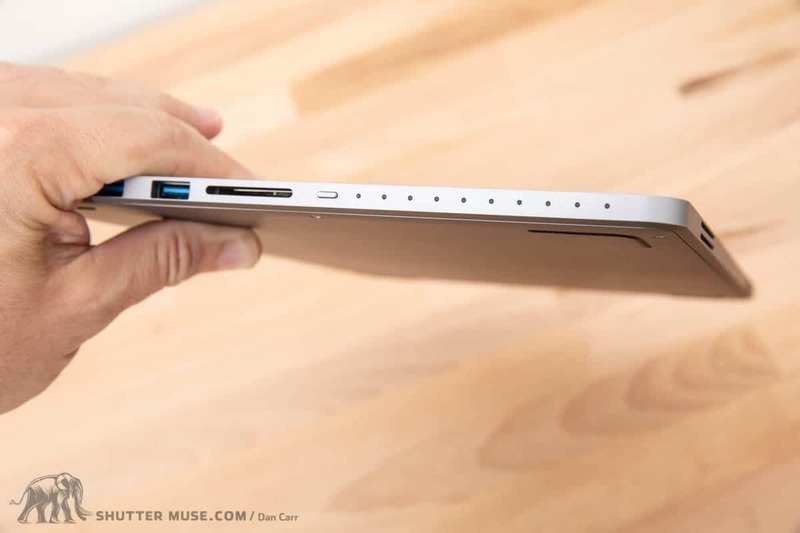 In a lot of situations such as internet browsing, even the 15″ MacBook Pro doesn’t actually consume 100W of power though, so 60W would be able to keep the battery fully charged. The Linedock comes impressively packaged and the feel is very similar to that of a unibody MacBook Pro. Stick an Apple badge on it and it would certainly pass as a product from the Cupertino company – good start. My review unit is Space Gray in colour, but it’s also available in black which looks very cool from the photos I have seen. Despite having a 20,000mAh battery inside it the Linedock felt a lot lighter than I was expecting, and at just 0.35 inches thick it’s easy to slot into a laptop bag with your existing gear without much hassle. Given that the current MacBook Pro 13″ has a battery capacity of about 14,000mAh, the Linedock 13″ will offer an additional full charge and still have some juice left over to top up your phone, or maybe a mirrorless camera that has USB charging. In fact, that’s something I want to underline, because it wasn’t immediately obvious to me before the unit arrived for testing. 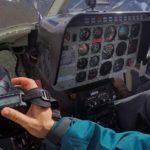 Whilst the main purpose of the Linedock is to charge a laptop and offer those additional ports, you can use this thing simply as an external USB battery to charge phones, GoPros, handheld GPS units or whatever else you have in your gear bag these days. The USB-A ports are even fitted with Qualcom QuickCharge chips for compatible Android phones, and of course you have the choice of charging things from USB-C ports or USB-A. 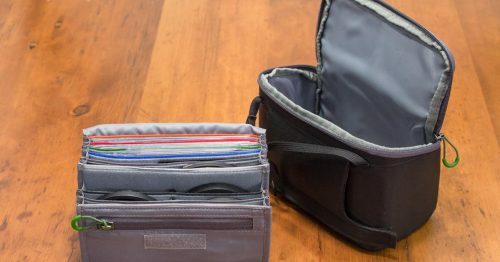 I was pleased to discover all of this because the flat, thin profile of the Linedock fits very nicely into laptop bags or camera bags with laptop sleeves. I could definitely see someone using this as a permanent fixture in their travel laptop bag, even if it was just to charge accessories and only occasionally juice up a laptop. The caveat there is that you’d probably want to buy some sort of neoprene protective sleeve for it so that it doesn’t scratch your laptop if they are slotted into the same space in your bag. 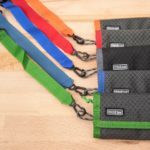 Linedock sell an optional $69 Linesleeve, but to be honest that seems like a high price and I think it would have been much better to include a basic zipperless neoprene or even nylon sleeve with the product. It’s funny that I have a drawer full of sleeves and cases for products I never think actually need them, and then when product comes along where I think it’s a must-have item, there’s nothing included. During my testing, I decided to put my laptop into a neoprene sleeve before putting it in my laptop bag, and that way the Linedock wasnt’ directly contacting it when it was stored in the same slot. 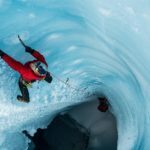 I thought this was cool, so I’m giving it its own sub-heading. The Lin-U is essentially a really short USB-C cable that’s designed to connect the Linedock to a 13″ MacBook Pro. It also has built-in LEDs to give information on charging and power levels. It was in stock when I did my review so I haven’t had my hands on one, but I love the concept and it’s available bundled with the Linedock in certain packages. Readers of my site will know that I don’t shy away from telling things as they are, and in this case the SD card reader is a massive disappointment. The reader delivers a frankly terrible 14MB/s write speed and a 20MB/s read speed. This is so slow that I actually didn’t realize it was possible to have an SD reader that is that slow. It’s way slower than standard UHS-1 card speeds, it’s slower than ten year old USB card readers I have lying around and it’s roughly 4-times slower than the speeds of the old built-in SD readers from old generations of MacBook Pros. If you are offering a product that is sold as a way of replacing all the stuff that Apple took away, why put an SD reader in it that underperforms so badly? 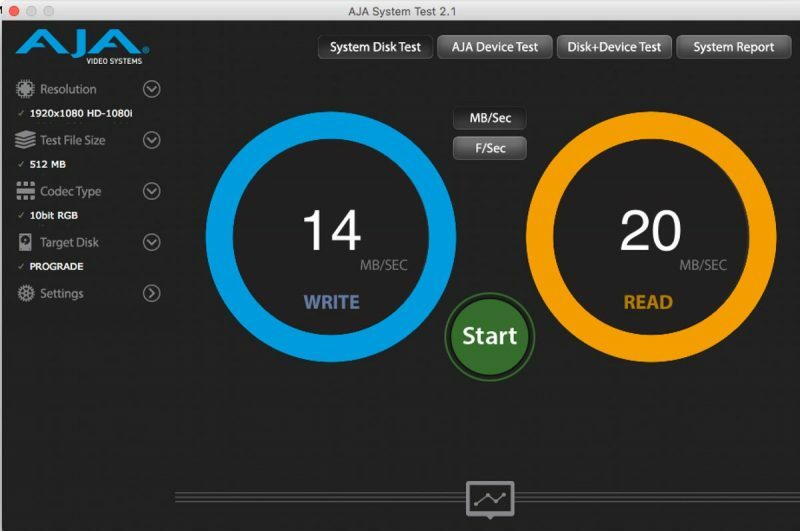 Speed test of a built-in SD reader from an old generation MacBook pro. I also noted that on the Linedock website the specifications for the SD card reader are a bit tricky. It says that the SD reader is compatible with UHS-II SD cards up to 300MB/s, which might be true, in that they will work, but they sure as heck won’t get to 300MB/s. You’ll get 20MB/s, so don’t be fooled by that clever wording. At those speeds, a 128GB SD card full of photos would take close to two hours to download! This is a real shame because for me this makes the SD reader totally pointless, and that was one of the big things that stood out to me from the specifications when I first learnt about the product. 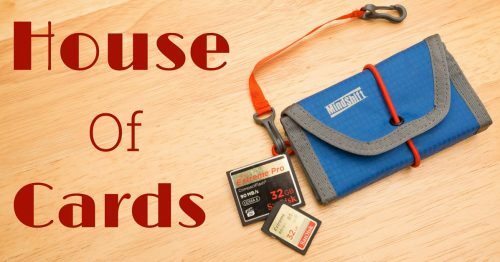 If you’re not a photographer, or if you’re a photographer than does’t use SD cards in their camera, perhaps this won’t make a difference to you. 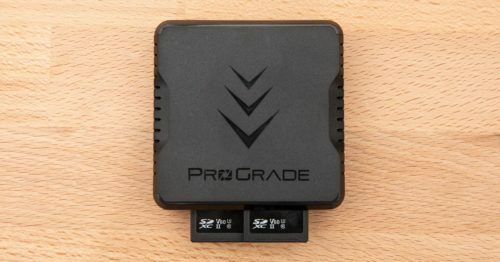 For me, as someone that does shoot with SD cards regularly, it means I’ll stick to carrying around my ProGrade Digital UHS-II SD reader that give me a read speed of 150MB/s! Yes, that’s 7.5 times faster than the card reader in the Linedock. The second major feature that intrigued me was the option to spec the Linedock with either a 256GB SSD for an extra $100, or a 1TB SSD for an extra $450. 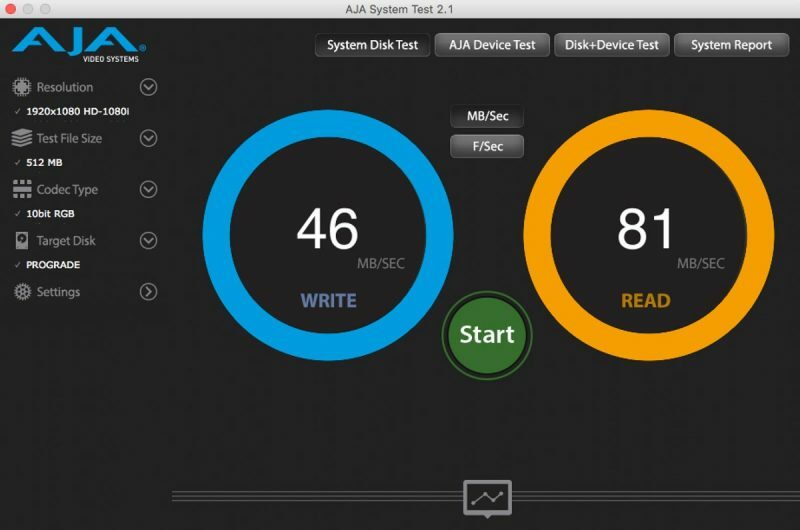 Below you can see a speed test that was performed on the 256GB drive which is fitted to my review unit. Whilst this is much faster than a hard drive, these speeds are slow by modern SSD standards. 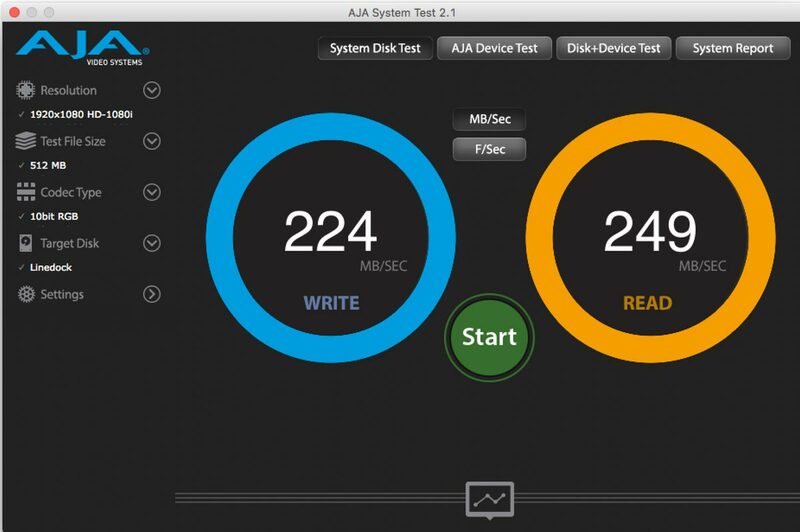 256GB drive speed test in the Linedock. Whilst I like the simplicity of having the storage built into the battery dock, the 256GB SSD size is fairly small, and the $450 price jump for the 1TB drive is far too much. I’d imagine these units are using mSATA SSD modules that are similar to those found in other portable SSDs these days. I just recently I reviewed the 1TB Sandisk Extreme Portable SSD as part of our best rugged drive group test and that drive delivers up to 550MB/s and costs just about $250. There’s simply no way I can recommend getting the built-in 1TB SSD in the Linedock for $450 when you can save $200 and get a drive that’s twice as fast, and palm sized. I think there’s a market for this product because it’s beautifully built and there are many people that put huge value on simplicity. However, there is room for improvement with regards to the poor SD card reader performance and over-priced, average speed SSD options. If you ignore the SD reader, and purchase the option without the SSD drive then things look much better and a $299 price point is similar to that of some other high-end USB-C docking stations on the market, none of which include a built-in battery like the Linedock. If you simply looking at it as a battery and a USB-C dock, it reviews as a much better product, but I can’t say that it’s a particularly exciting prospect for photographers because of the previously mentioned negatives. If you are looking for both an external battery pack for your laptop, and a docking station to give you several USB ports and an HDMI port, then this is a solid option for those seeking simplicity in a world that’s increasingly full of dongles.